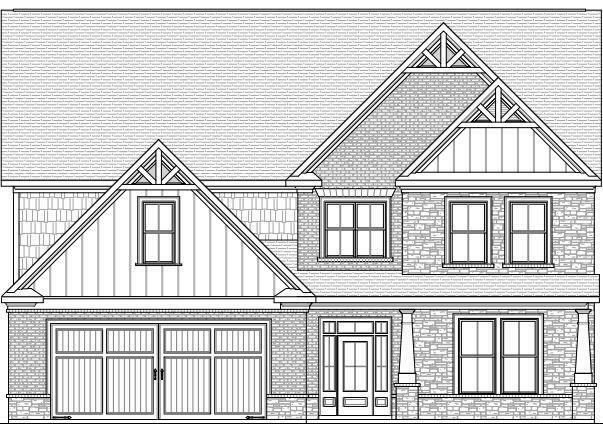 Davis F plan has 4 bedrooms, 3 full baths, private office & separate guest suite on main flr. 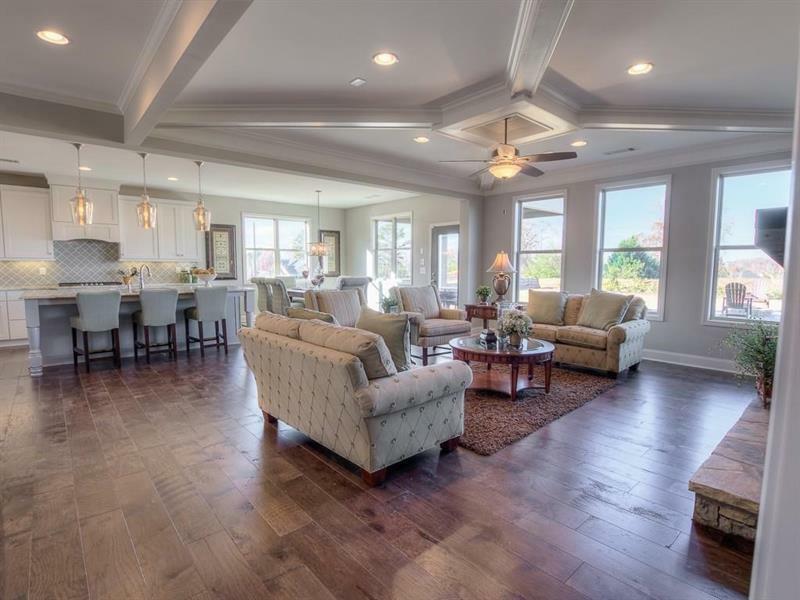 Step through the 2 story foyer into the family room w/coffered ceiling & gourmet kitchen. 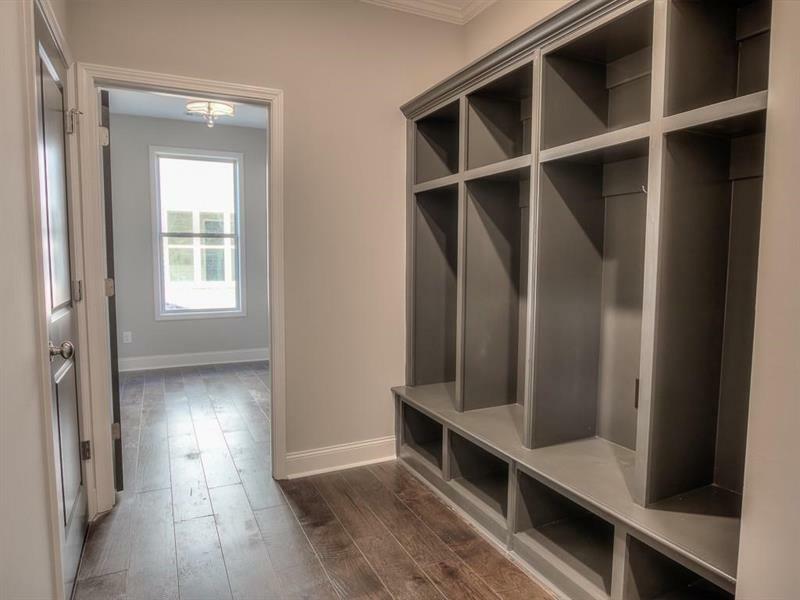 The kitchen has 42" custom cabinets, granite countertops & SS appliances. 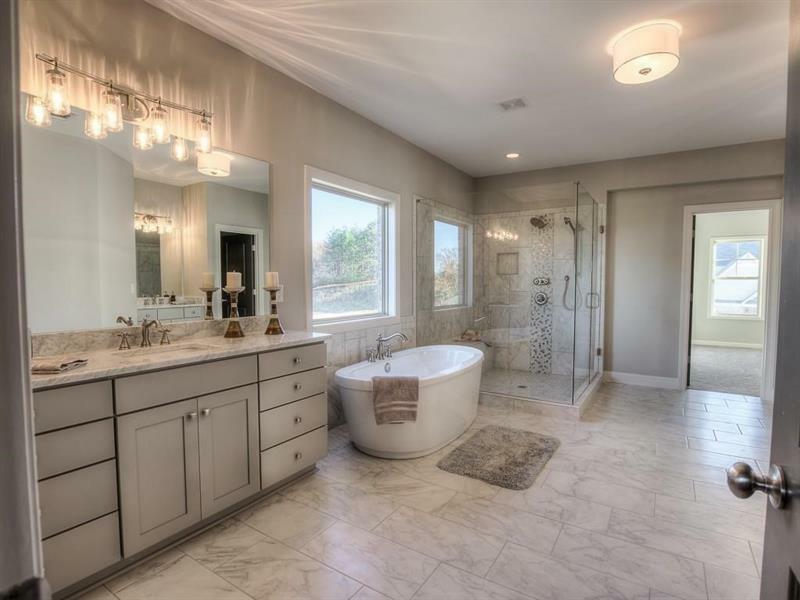 Spacious Master Retreat w/oversized frameless shower and garden tub. Also upstairs are 2 secondary bedrooms w/ jack'n'jill bath, media & laundry room. Gorgeous view of Sawnee Mountain from the front porch! GREAT ROOM AND FULL BATH FINISHED IN BASEMENT! Close to exit 13 off of 400! Sold by All Trust Realty, Inc..